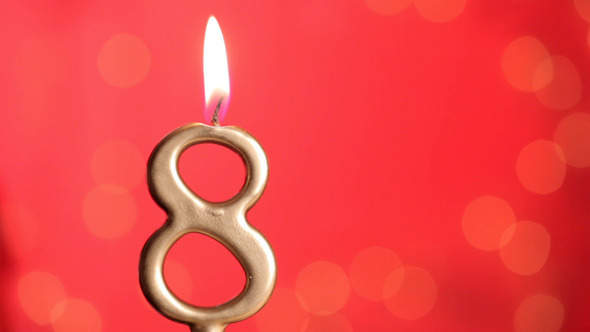 INW Celebrates 8 Years as an Oregon Support Services Brokerage! Today marks the eighth anniversary of Independence Northwest as a support services brokerage serving Oregonians with intellectual and developmental disabilities! We couldn’t be more proud of the people we support, the services we provide, and the organization we have become. 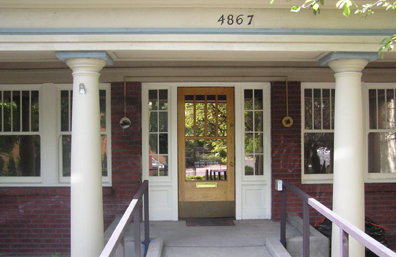 In the summer of 2007, a small group of people with a vision to provide the best possible home and community based services to the Portland metro area I/DD community came together. We rented an old dilapidated firehouse on Alberta and MLK in NE Portland and spent weeks dusting out the cobwebs, painting the walls, and creating a grassroots space. We developed a mission, brought in fresh talent to the I/DD field, and enrolled 450 people into services in a very busy first year and a half. A lot has changed in the eight years since, but what hasn’t changed is our values, our purpose, or our service to the community. We still very much believe in the principles of self-determination, in the right of self-direction, and in the power of customer and family-led services. The historic 1920s firehouse on MLK and Alberta where INW started up. The building was demolished a couple of years back. I’d like to acknowledge the folks responsible for eight years of INW. Huge gratitude and respect goes to my co-founders Erin and Spence, our inaugural team of board members and staff (Martha, Rita, Maggie, and Beri), our senior employees (Rob, Jess, and Carie), and our tremendous staff (Finch, Rachel, Brenda, Chris, Dana, Angie, Jenny, Jamie, Hans, Lindsay, and Melody.) Thanks for your dedication, passion, and resilience – particularly over the past couple of years. Special thanks to our board of directors for their guidance and support – we couldn’t do it without you, Marsha, Diann, Corinne, Linda, and Kaaren. Additionally, great appreciation goes to our partners in the field: Personal Support Workers, Independent Contractors, Behavioral Consultants, provider organizations (large and small! ), our fellow brokerages statewide, local county and Region 1 staff, school and local VR colleagues, and our policymaking and legislative partners in Salem. We make this happen together. Thank you for allowing Independence Northwest to be part of Oregon’s intellectual and developmental disability history. Independence Northwest Celebrates 7 Years! Independence Northwest is celebrating its 7th birthday! We officially opened our doors at an old firehouse off MLK and Alberta in NE Portland in July of 2007. Our tiny start-up staff began enrolling customers in the fall, we grew swiftly, and within eighteen months, a team of 15 were serving 450 brokerage customers. We’d like to thank our customers, families, advocates, community partners, domestic employees, independent contractors, provider agencies, legislators, government partners, and all the fantastic INW staff over the past seven years for helping assure the independence, success, and advancement of Oregonians with intellectual and developmental disabilities. We are proud of our deep roots in the community and look forward to serving you for many, many years to come. In just a few short weeks, INW will be moving just up the street to a brand new space here in NE Portland. We plan on holding an Open House and 7 Year Celebration in late August. We hope you’ll join us. Keep an eye out – details coming soon! 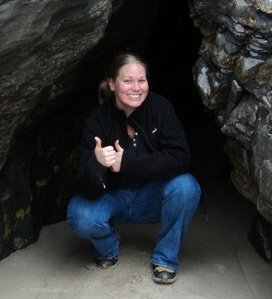 Tomorrow, Friday August 3rd, 2012, is Assistant Director and co-founder Erin Graff’s last day with Independence Northwest. Those are such strange words for me to write, think, say. The whole of my professional life here in Oregon has been somehow connected with her. I met Erin when we both were employed by United Cerebral Palsy in SE Portland a decade back. We were working in half-management/half-direct support roles on different teams and I was immediately drawn to her bubbly personality, sharp perception, and authentic passion for the people we were supporting. In 2006, while she was working as a Lead Personal Agent at Inclusion Inc., Erin joined together with me, Ron Spence and our tiny little board of directors to create what’s now known as Independence Northwest. Creating a new nonprofit organization from literally nothing more than a dream is equally exhilarating and exhausting – it’s a once in a lifetime experience and we were blessed to have such an opportunity together. Erin, Spence and I holed up day after day for fifteen hour days furiously penning our response to the state’s RFP (Request for Proposal) in the spring of 2007. We turned everything over and inside out to create the most comprehensive response we could, learning a lot from and about each other in the process. It was hard work – we knew we wanted this more than anything and we wouldn’t allow ourselves to fail. That resilience paid off and INW was chosen as the next Oregon support services brokerage. Before we knew it, we were renting our first office space: an old dilapidated firehouse on MLK and Alberta in NE Portland. Within a couple months, we had doubled our staff size and were opening our doors and inviting our first customers on board. I’d always known she was one of the smartest people I’d ever met (she’s got a memory that puts most of us to serious shame) – however, we had never worked together very closely in the past (more as peers cross-agency than anything) and I’d never experienced her fully in action. When our first staff started at INW, Erin developed extensive training for them to assure they were ready to serve INW’s first customers at the highest level. She did a fantastic job – she’s one of the best trainers I’ve ever seen. She can explain complex bureaucratic information five different ways if you need her to. If a person is struggling to understand something, she does whatever it takes, altering the format however necessary to get the point across. Most people have a trick or two and they’re spent. Not the case here. She continues to impress me all these years later. The other immediate mark she made on me happened in a more public arena. I’ve always been a bit on the shy side at meetings – Erin, by all accounts, is not. She impressed me then and still does with her bravery and pluck. She’s willing to ask the hard questions to move a conversation, situation or policy forward. In the eight or so years she has been in the brokerage system, Erin Graff has made an indelible mark. If you work in this system, there’s no doubt you have in your possession right now or regularly follow multiple processes, procedures or local area agreements she’s written or had a major role in creating. Erin has always been interested in continuing to the move the system (and all its players) forward to assure we are serving the disability community in the most efficient, fair and consistent way possible. She has reminded me time after time to take risks, to ask the hard questions – and to continue asking them until you get the answers and understanding we all need to benefit the community we serve. Her approach has assured progress. People’s lives have been changed and bettered as a result. On Monday of next week, Erin would have celebrated her fifth anniversary with Independence Northwest. Instead, she will be busy with last minute planning and packing up her remaining belongings in preparation for the next chapter of her life: a move to New Orleans. We will miss her greatly. Personally, I will mourn the loss of Erin as a business partner and confidante – I already am. At the same time, I will benefit daily from the lessons I’ve learned from her and from the structure and culture she helped build within this organization and within the brokerage system at large. She’s changed my life and I’m guessing if you’re reading this, there’s a good chance she’s changed yours in some way as well. Bon voyage, Erin. And congrats, New Orleans – you just caught a good one. PS – If you haven’t yet had a chance to wish Erin well, drop her a line between now and end of working day Friday at erin.graff@independencenw.org.